While all of the food items might make your lips pucker, few of them are as tart and tangy as the extreme candies out there these days. And if you think they might be a little overkill, the non-food ideas could be a better choice. Last longer, too. Pick from items you'd never expect to see in this flavor to toys shaped like pickles to gifts that just celebrate the pickle like the water bottle pictured here. It's all pickles, all the time! I know, it's crazy the stuff they make these days. But I suppose in a world with bacon-flavored toothpaste, it shouldn't surprise us that there are dill-flavored things like mints and gum. Best part of these cute items is they make fun and inexpensive gifts. Perfect size for stuffing in a Christmas stocking, Easter basket or birthday card. Interestingly, all these flavors are dill. Not sure why they don't make sweet or bread and butter or other pickle flavors. (Well, I wouldn't want them. Would you?) I suppose it has to be dill to get that pucker-creating taste. Given that I like pucker-inducing candies in general - sour is the new black, you know - I would think I might like the candy canes or gumballs. But, there's quite a bit of distance from sour and tart to dill. I can get behind the popcorn! But those ice pops? Blech. (But they do frozen juice pops in parts of the country, so I'm guessing they aren't too odd to some people.) Even the peanuts featured to the right here don't sound too bad. I love salt and vinegar chips and nuts, so it's got to be pretty close to that, right? 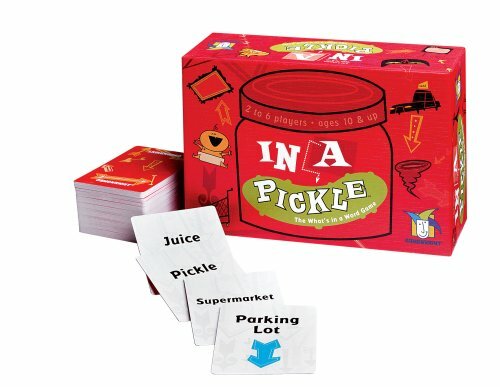 My grandmother used to drink pickle juice straight from the jar (classy!) and this isn't really that different. I know my youngest sister likes them, and they're pretty common in the far south of Texas where she grew up. If you can't find your favorite snack in a pickle flavor, the pickle salt can help you out. Just sprinkle it on whatever you're wanting to season. (Note, this is pickle salt. Not to be confused with pickling salt, which isn't flavored but is used in canning vegetables. Including pickles.) Definitely an easy way to get the pickle popcorn if you're having to share with someone else who would prefer their popcorn pucker-free. Looking for pickles to turn up in odd places? On your desk, attached to your computer and most definitely in a bottle of wine is about as odd as you can get. A little more expensive with some of these for gifts, but still, perfect for a gag. I love the pickle facts poster. It's educational! How many pickles it takes to reach the moon, drink recipes, what kind of pickles Elvis liked and more. At one point, I had even found a pickle camera. Quite the interesting idea. It put pickle phrases and images right on the photo. However, it was a disposable camera with actual film, so you did have to take it to be developed. And there was no indication of just what constitutes a hilarious pickle phrase, so I'm not entirely sure what you get once it comes back. OK - I got completely thrown as I was tracking down all these pickles by the number of pickle ornaments you could find. I mean, one or two as a joke, OK, but a few hundred? Seems there's an "old world" custom about hiding a pickle ornament among the other decorations on the Christmas tree on Christmas eve. The first child to find the pickle either get to pick the first present or they got an extra gift or good luck. (I read it several ways.) Many of these ornaments are made in Germany, but it appears this tradition really originated in the US, not the "old world", probably as a marketing ploy. The ones that fit with the pickle tradition tend to be glass and sometimes quite fancy. But I did find others that were definitely meant as a joke. And since this page is more about gag gifts than nice Christmas traditions, those are the ones I chose to feature. And before you say - oh, but the fairy is so cute! - it's a pickle finder fairy. Seriously. Can not make that up. 10/0483 Features: -Christmas pickle.-It is rewarded by being the first to open their present.-Hanging. Everything on this page is pretty silly. (The whole point of a gag gift, right?) So, it's tough to pick out silly when you start talking about toys and games. They're kind of supposed to be silly by definition. 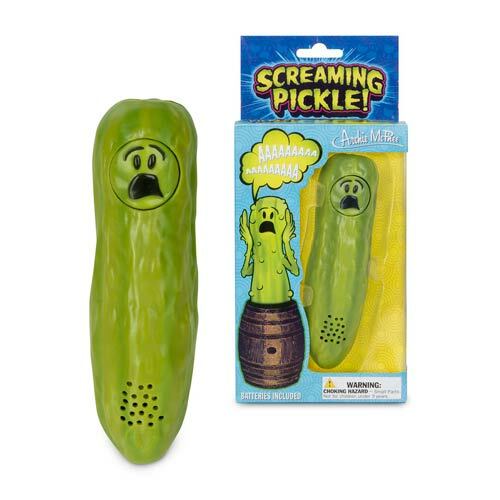 But there is definitely something about making a toy a pickle that pushes it over the edge to ridiculous. If you don't think the yodeling is bad enough, you might try this guy. Gherkin Finger - Pickle Finger Buy 5 and go gherkin pickle crazy. 8cm of splendor.